iPhone 7 Plus Repair in Dubai is a great mobile to have – fast processor, water resistance, advanced camera and amazing sound quality and brilliant battery life, it has everything to offer. The iPhone 7 Plus is especially for those people who like to keep mobile phones with big screen. One of the noticeable changes iPhone 7 Plus has brought to its hardware is to let go the home button and replaced it with capacitive pad, initially the users took to time to get used to it but later on everybody started loving it. In Dubai we have a lot of users going after the quality of sound and camera when they decide to choose or upgrade their mobile phone, iPhone 7 Plus has got the HD sound features along with the magical picture quality so you can turn your special moments into memories by capturing those and saving onto I cloud .iPhone 7 Plus also come in various colors, shiny Black has been the most selling one. We have come across many iPhone 7 Plus devices which faced multiple hardware issues, moving on below we have some valuable information for you on the most common issues and a solution to their fix. When it comes to the repair of this high tech device, users do have to go through a hard time searching an experienced repairing lab in Dubai for IPhone 7 Plus, we have experts based in Dubai for iPhone 7 Plus repair who deal with all kinds of hardware issues. If you are coming across any hardware issues for your iPhone 7 Plus in Dubai, get in touch with us and let us provide you with the best solutions available in market. 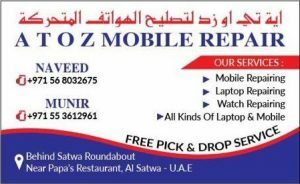 Have you been facing the same issues after the repair and the heavy charges you paid, Need someone who you can rely on to fix all your mobile technical issues for a reasonable fee, we ensure you to offer you the best iPhone repairing service experience in Dubai. We deal in authentic spare parts which are quite significant for your iPhone 7 Plus performance and the tools we have provided to our technicians are top of line with all updated features to offer the most suitable solutions to your iPhone 7 Plus hardware issues, our customers do refer their friends and family members to us because of satisfaction level they develop from our repairing service. 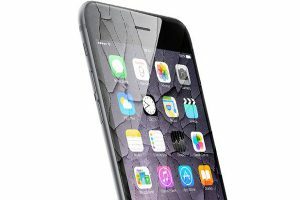 Most common hardware issues are as follows, all you need to do is to visit us, get a free quote for your problem before you make a decision IPhone 7 Plus Repair in Dubai.